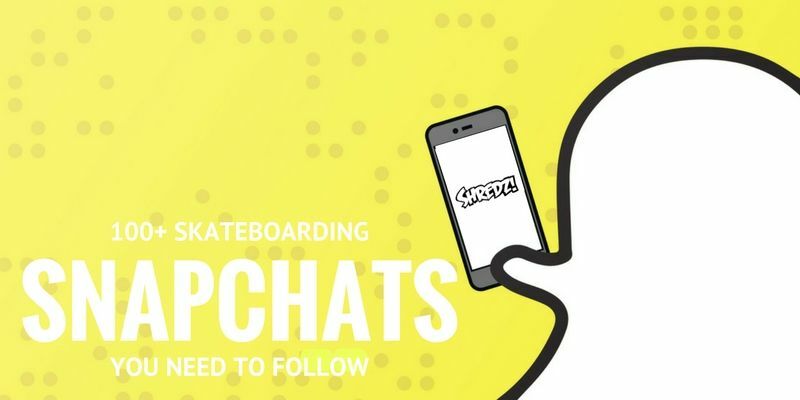 Here's a list of 100+ pro skateboarders & skateboarding brands to follow on Snapchat! Simply open the snapchat app and take a photo of any of these codes to add them to your friends. Did you just get Snapchat and have no friends? Have friends but looking for people to follow? Look no further. Here's our mega list of 100+ Skateboarding snapchats. We got the snapchats for all your favorite brands from Vans and Indy to Nike Sb! We also have a huge list of skaters and industry folk on here from Andrew Reynolds to Jereme Rogers. -Hold Your Thumb On The Snapchat Barcode to Focus or Take a Photo of the Snapchat Barcode. Did we miss some? Feel free to comment more below and we will add them to the list!